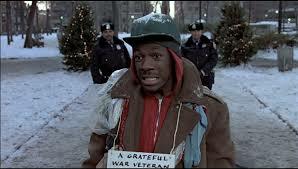 Trading Places was on TV the other day and had to be watched. 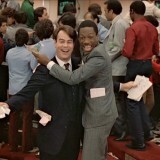 It is, after all, one of the top five comedy movies of all time. It’s a great movie with a ton of quotable lines (I still say ‘Merry New Year!’ each year) but this one-worder, delivered by the outstanding Denholm Elliott, is probably my favourite. And there it is on Youtube already. This is the best time to be alive! Worryingly Bleak Deaths of the 80s #4 – Prince of Darkness Ten reasons why Aliens is the best film ever made.